It’s not easy being a credit card. These bits of plastic are so passé, after all. Industry watchers once thought RFID (radio frequency identification) chips would usher them into obsolescence, but these systems aren’t cheap and all sorts of security concerns got stirred up after multiple news crews and geeks/scientists/hackers figured out that, using specialized gear, they could read personal data from across the street. D’oh! Now NFC (near field communication) is the new flavor of the moment, and Google’s Android seems to be evangelizing the cause, as is Windows Phone. As the name suggests, the chips need to be near a terminal to work, and since they’re basically separated from the rest of the device, even hackers wouldn’t be able to tunnel their way in. With all that going on, what’s a credit card to do? Maybe get a hi-tech makeover on? Perhaps something like the MasterCard “DisplayCard” is just the thing. Now this is an unforeseen technological advancement in payment processing. 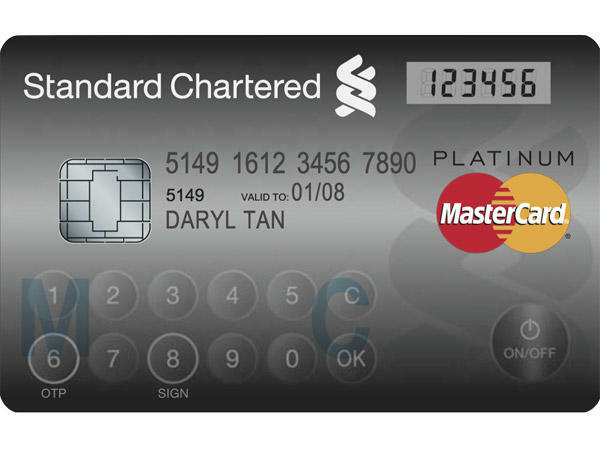 Courtesy of Standard Charter, select customers in parts of Europe and Singapore will get a fancy new robo-card that squeezes in an actual touch-input pad, on/off button and LCD display. This is an actual credit card, not a device with payment features, mind you. Although the Display Card looks and works practically the same as a normal credit, debit or ATM card, says MasterCard, the extra features allow users to directly authenticate a one-time password (OTP) directly on the card itself. It’s interesting that a credit card is moving more toward mobile tech, while Google may be exploring a credit card offspring of Google Wallet. Well, whatever it takes to make our payments more convenient and secure — at least until fingerprint or ocular scan payments get off the ground.